Eviction process – Property owners and tenants alike have rights under South African law; and when an eviction notice has to be served, it is important to consider the rights (and responsibilities) of both parties, to be sure that fair and just treatment is accorded to everyone. Our Constitution exists to protect all citizens and ensure a rights-based approach is taken in matters of legal dispute. An eviction notice that came before the Constitutional Court last year provides a test case for the accountability of housing lawyers and the judicial system in safeguarding the rights of the most vulnerable in our society. In the the case of Occupiers of Erven 87 & 88 Berea v De Wet, Christiaan Frederick N.O. and Another, appeal was made under the PIE Act to the ConCourt after the High Court refused to rescind an eviction order. Here we look at the facts of the case and draw some conclusions from the judgement. An abandoned block of flats in Berea, Johannesburg, was purchased by a new owner following liquidation of the former landlord. The building was occupied by 184 residents at the time, some for as long as 25 years. In order to carry out renovations and restore the building to residential letting standards, the purchaser wished to evict the sitting tenants and served them with an eviction notice, following the procedures set out in PIE. The 184 occupiers were represented in court by four of their peers, who were known as the “Appearer Occupiers”. These Appearer Occupiers asked the court for a postponement of the hearing to give them time to seek legal advice and representation. However, when they appeared in the High Court, they consented to a draft eviction order, leaving the remaining 180 occupiers somewhat stunned. The occupiers sought their own legal advice and applied to the High Court to have the eviction order rescinded. 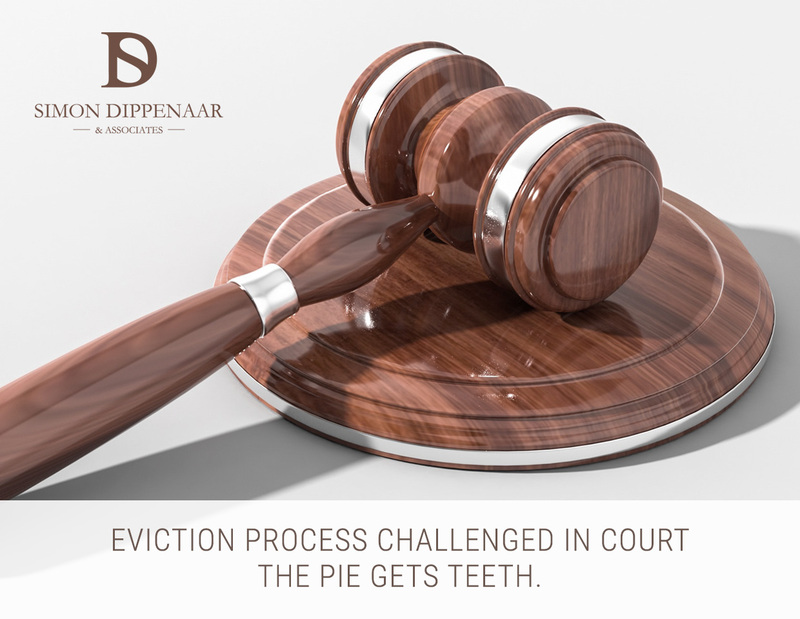 The High Court turned down the application, on the basis that the eviction notice was not in contravention of PIE and the eviction court had discharged its duties faithfully. A further application for leave to appeal was refused by the High Court and the Supreme Court of Appeal. The case was based on a series of misunderstandings. The Appearer Occupiers said they had not consented to an eviction order. 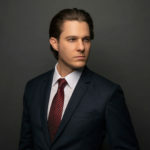 They argued that even if they had consented, their consent was not legally valid; and the court had an obligation to ensure the fairness of any eviction order in the light of all relevant circumstances. They maintained that the eviction order should have been rescinded. The Respondents argued that the applicants had lost the right to appeal because they had agreed to the eviction order in the first place. They also said there was no evidence that the occupiers would be made homeless or that they had made any attempts to find alternative accommodation. Therefore the eviction process was fair and an appeal was not warranted. What did the judges consider? The Constitutional Court reviewed the judicial oversight functions of the eviction courts under PIE. How great a duty does an eviction court have in determining the validity of the mandate between the occupiers and their representatives? How far should the eviction court go to ensure the consent is legitimate? In this case, were the non-Appearer Occupiers within their rights to request the eviction order to be rescinded? The Constitutional Court ruled that where legal representatives consent to judgements without proper authority, the judgement is not valid. In other words, the Appearer Occupiers in this case knew the main body of occupiers needed time to seek legal representation, but the Appearer Occupiers did not allow for this in the eviction process. In the face of the resulting eviction order, the occupiers “had no legal representation when the order was obtained against them,” according to the Court. The Court also held that the occupiers’ consent to the eviction order should have been given “freely and voluntarily with the full awareness of the rights being waived,” and this did not occur. The occupiers were not aware of their rights and therefore the consent they gave to the postponement could not be considered informed consent in the light of the eviction order. Informed consent is a guiding principle of the Constitution. As a result, the Appearer Occupiers’ consent was not binding on the occupiers. The ConCourt judgement raises some interesting questions and may signal a new role for the courts in matters of eviction. It reinforces the function of the courts in protecting the poor and vulnerable in our society. This case places an increased burden on the courts and property owners, the latter now having to ensure a legally valid and binding mandate exists before Appearer Occupiers can enter into court-ordered agreements. The courts may now have to scrutinise eviction applications carefully to prevent any ambiguities between Appearer Occupiers and the occupiers they represent when resisting an eviction application. This would seem to be a victory for social justice; with this judgement the Constitutional Court is refining its stance on active judicial management of eviction applications. Whether this leads to fairer, more just outcomes for all parties or simply brings the process to a grinding halt remains to be seen. Need help with an eviction notice? We have an intimate knowledge of the legislation from both sides, so if you need help navigating the eviction process, whether as landlord or tenant, call us now on 087 550 2740 or contact us. This entry was posted in Eviction and tagged in eviction, pie, property. « Women’s Day 2018 – why is it still necessary?